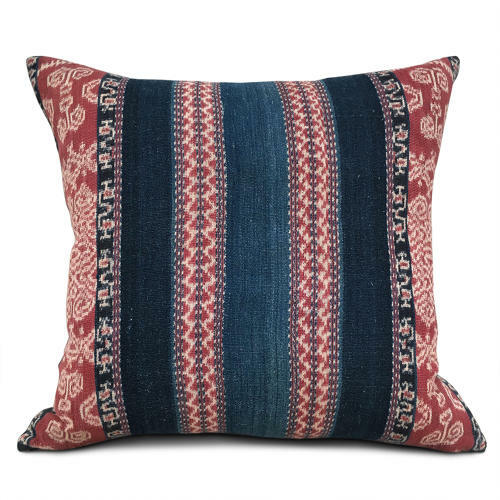 This beautiful ikat textile has been taken from a vintage sarong from the Flores, Indonesia. The weave is so pretty and the colours are faded indigo and morinder. The cushions are backed with vintage hemp, have zip fasteners and feather pads. There is 1 other cushion from this sarong shown above but listed separately due to the pattern difference.